Sharing the Gospel in our modern day culture is challenging so let’s venture back to the time of Jesus to see how it was done. Over the next few weeks we are going to look at how Jesus shared the Good News and what we can learn from him to help us share our faith. Attend any regular Sunday morning church service or Friday night youth group gathering and you will surely be encouraged to share your faith with your friends, family and co-workers. And if you’ve grown up in the church, the call to evangelism has been a common anthem we’ve all echoed. It’s common knowledge to all believers that sharing our faith is something we should be doing and on a regular basis. We should know the word of God and be ready at all times to share the Gospel which is the source of our belief. But what does Jesus say about sharing our faith? What can we learn from the Son of God? A perfect first place to look is at the end of the Gospels, when Jesus gives his final words on earth to his disciples. An account of this event can be found in Matthew 28:16-20, Mark 16:14-20, Luke 24:44-53. The message of Jesus is clear and he speaks out the calling of each and every believer to go out into the world and teach people the ways of Jesus, making disciples of them and baptizing them in the name of the Lord. (This direction is also found in Acts 1:4-8 when the disciples are empowered by the Holy Spirit to do the works of God). Throughout the gospels we see Jesus preaching the gospel of the kingdom, teaching people the ways of the Lord and doing mighty works. We are to imitate Christ in this way. He said before he ascended that we would have a helper in the Holy Spirit and would be empowered to do even greater things than He. “While walking by the Sea of Galilee, [Jesus] saw two brothers, Simon (who is called Peter) and Andrew his brother, casting a net into the sea, for they were fishermen. And he said to them, ‘Follow me, and I will make you fishers of men.’ Immediately they left their nets and followed him.” Matthew 4:4. 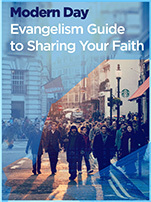 So what’s the first step in effectively carrying out The Great Commission? Matthew 4:4 points us in the right direction – drop what you’re doing and follow Jesus. Now this doesn’t mean that you need to quit your job and all your responsibilities. What Jesus is calling us to do here is to let go of our earthly desires and pursuits to follow the ways of Jesus. By obeying his teachings and imitating the life of Jesus, becoming children and disciples of Christ, we are also being equipped to teach others. The better we know the ways of Jesus and when our entire lives are aligned and committed to following His teaching, the better we can show others His ways too. Our lives are a great tool for sharing the Gospel. People pay attention to the way you live. When we choose to follow Jesus and believe in Him, accepting the Holy Spirit into our lives, the way we live changes and people should notice. The light we receive will be noticed in our homes, schools, businesses and communities. They way we live and the things we say and do should be of God and should point towards God so that others will see His glory.